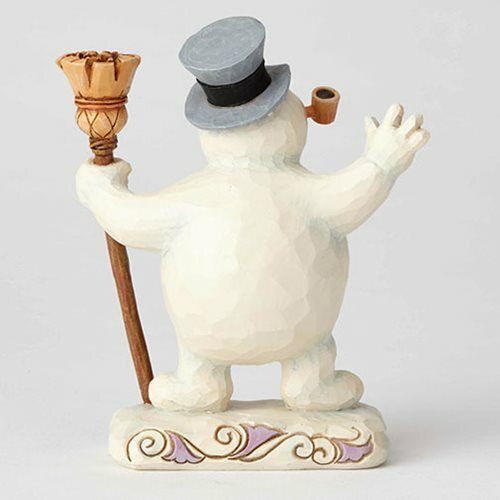 Frosty the Snowman is a touchstone of the holidays for millions of people, summoning fond memories of Christmases past. This heartwarming collection reimagines the film's most iconic scenes in Jim Shore's signature folk art style. Frosty waves a friendly hello in this handcrafted design by Jim Shore. 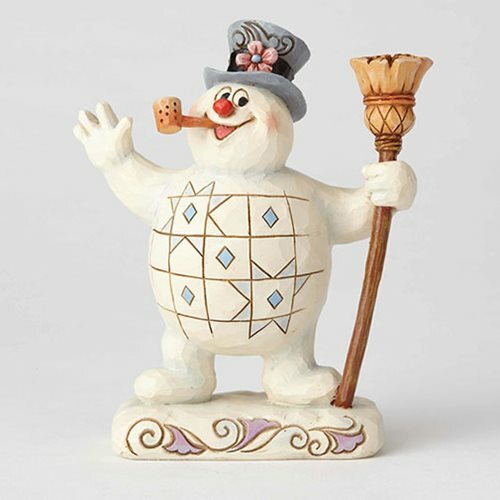 The beloved character is intricately sculpted from high-quality stone resin and finished with colorful folk art motifs. 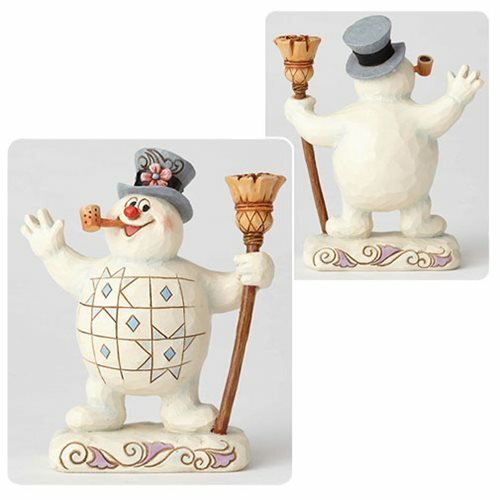 The Frosty the Snowman Frosty with Broom See You Next Christmas Day Statue by Jim Shore is hand-painted by a team of skilled artisans. Measures about 5-inches tall x 4 1/5-inches long x 2-inches wide.